Your employees are the face of your business. Let durable workwear, with printing or embroidery, carry your name or message in a uniformed fashion. 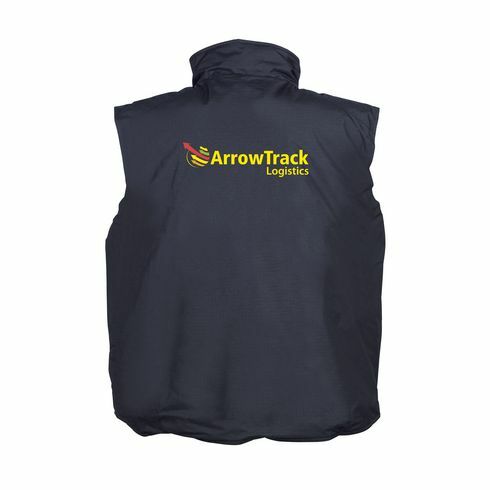 Go to work with this durable and abrasion resistant bodywarmer from B&C PRO • excellent, heavy quality • 100% ribstop polyester (200 g/m²) • windproof and waterproof • quilted polyester inside • fleece inner collar • reflective band on chest • longer back • double stitched seams • zip and flap with velcro and snaps • deep, elastic sleeve openings • 3 flap pockets with velcro closure • breast pocket with zip • pocket on the inside • Unisex - suitable for men and women. Comfortable clothing of excellent quality. Available sizes: S, M, L, XL, XXL, 3XL and 4XL.